The Photos app on your iPhone is the location on the device where pictures that you take with the camera are saved. 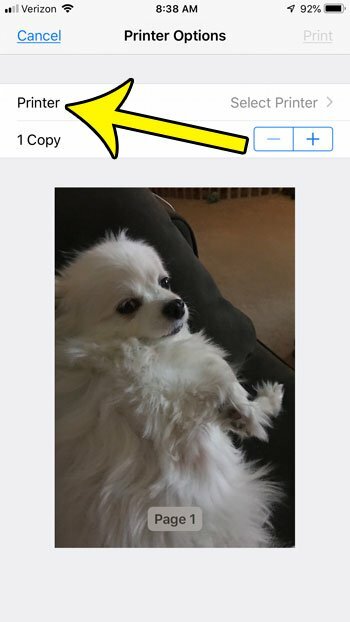 This Photos app has a number of different features, such as searching through your pictures, that can enable you to use those pictures in a variety of ways. While the primary way that you share your pictures might be digitally, either by texting them or sending them through email, you can also print pictures from your iPhone 7. 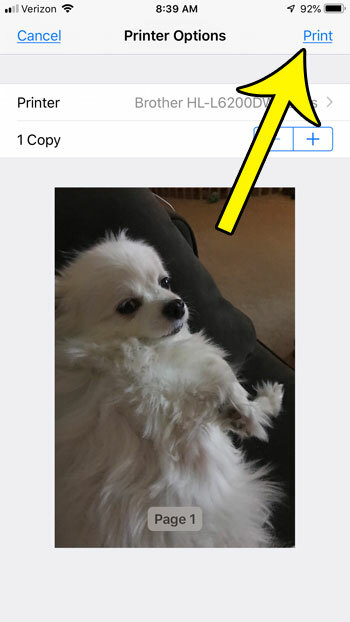 Our tutorial below will show you how to quickly print a picture from your iPhone 7’s Photos app to a Wi-Fi printer that is on the wireless network to which you are currently connected. You have a picture that you want to print. 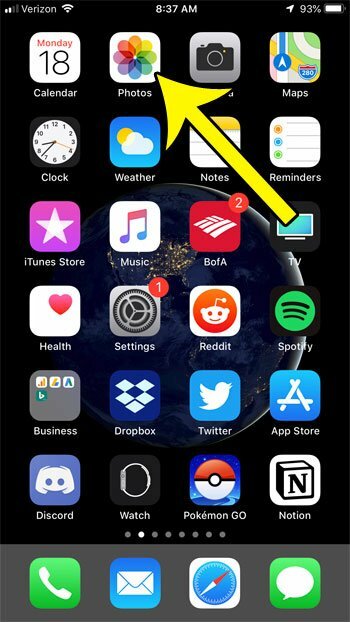 Your iPhone is currently connected to a Wi-Fi network. 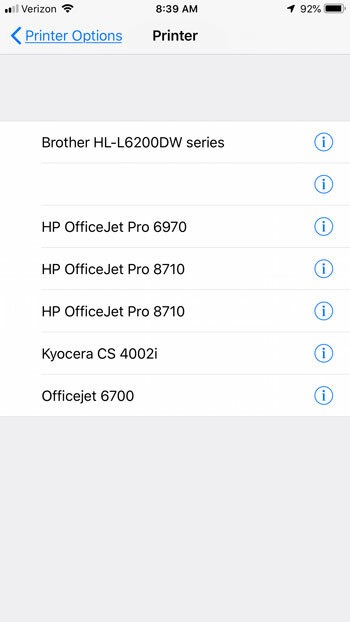 There is an Airprint-capable printer on that Wi-Fi network. If you have met all of these conditions, then you are able to print a picture from your iPhone. Step 2: Find the picture that you want to print. Step 3: Tap the Share button at the bottom-left corner of the screen. 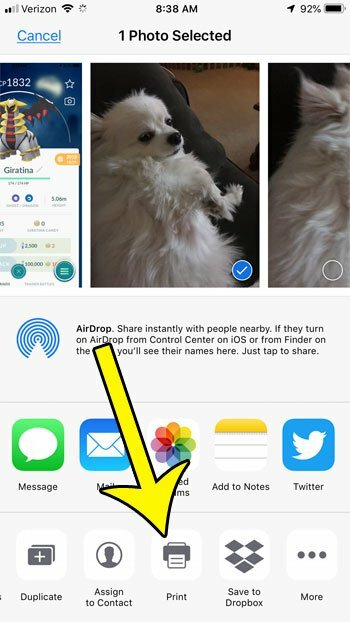 Step 4: Swipe left on the bottom row, then tap the Print button. Step 5: Touch the Printer button at the top of the screen. Step 6: Select the printer to which you wish to print the picture. Step 7: Tap the Print button at the top-right of the screen. Note that if you do not see any printers listed in step 6 above, then you won’t be able to print the picture from your iPhone. Another option would be to email the picture to your own email account, then open that email on a computer that is connected to a printer and print the picture that way. Additionally, many stores that offer printing services have their own dedicated apps that you can use to upload pictures and get them printed at a store. Some of these options in the United States include things like CVS, Walgreens, and Wal-Mart. 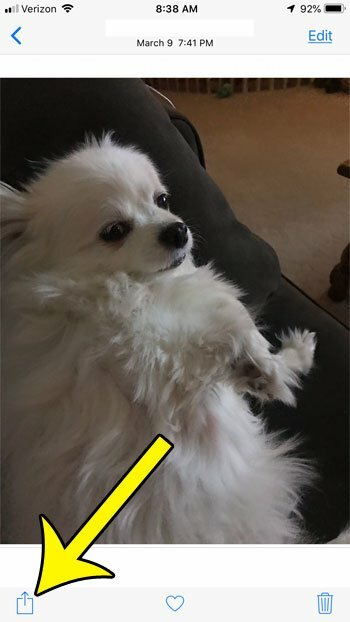 If you’ve deleted pictures from your iPhone but your available storage hasn’t increased, then find out how to permanently delete those pictures from your device by emptying a folder.